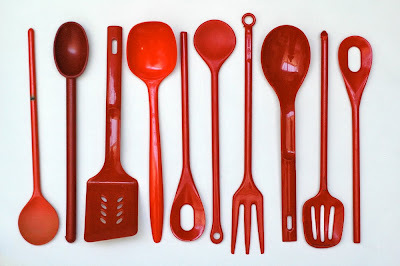 Vintage red plastic spoons and spatulas. I really love this one as well. I like all of them actually but every now and then, one moves me to comment. I have similiar spoons in my red collection! 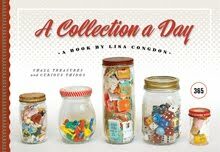 So glad to learn of your collections blog. Your thoughtful selection of objects and your layouts are delightful to view. I'll be linking at 973 Third. cooking in red...i love it! Just about the best blog ever! LOVE!